Who doesn’t love object pronouns? This is a rhetorical question, obviously. Most people don’t care about object pronouns, Most students who have to learn them, loathe them. For a linguist, though, they’re language candy — pure creatures of grammar, with no meaning of their own. I noticed a curious pronoun phenomenon the other day while visiting the Museum of Modern Art in New York. 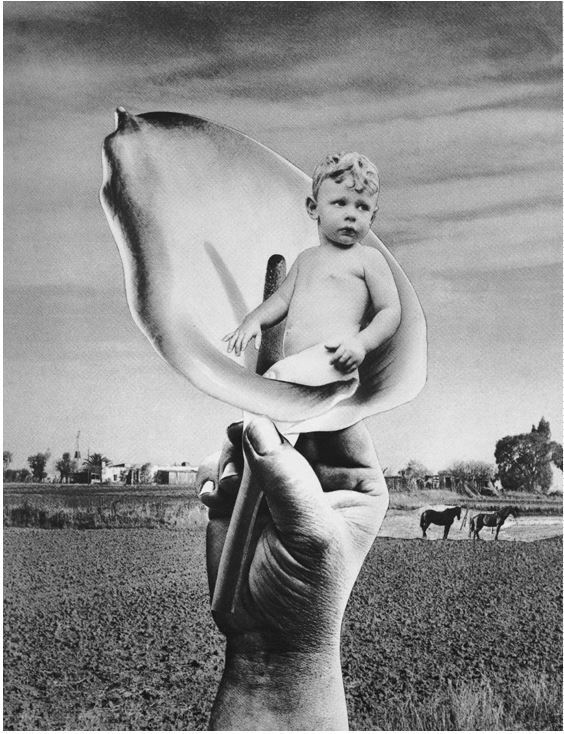 The museum’s current photography exhibition “From Bauhaus to Buenos Aires: Grete Stern and Horacio Coppola” includes examples of surreal photomontages by Grete Stern published in the avant-garde Argentinian journal Idilio from 1948 to 1951. You can learn more about this series here; an example is below. I didn’t care for Stern’s photomontages, but I got a kick out of their linguistic context. 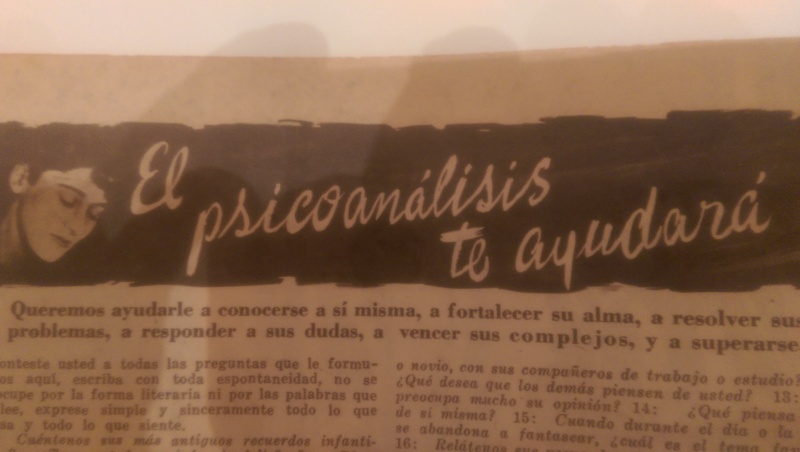 They illustrated a regular Idilio column on Freudian psychoanalysis whose original title was El psicoanálisis te ayudará ‘Psychoanalysis will help you’. 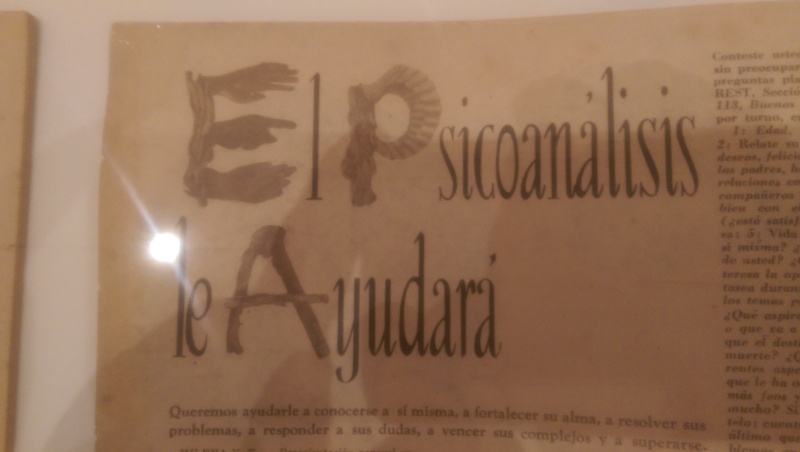 After a few issues this changed to El psicoanálisis le ayudará; le also means ‘you’, but is more formal than te. The choice of te versus le depends on context — who is speaking (or writing), and who is listening (or reading). In this case, le was a more correct choice because the column itself struck a formal tone. Consider the banner-style first sentence below the te title: Queremos ayudarle a conocerse a sí misma, a fortalecer su alma, a resolver sus problemas, a responder a sus dudas, a vencer sus complejos, y a superarse ‘We want to help you to know yourself, to strengthen your soul, to resolve your problems, to address your doubts, to defeat your complexes, and to improve yourself’. This sentence presents a raft of formal markers: the object pronoun le ‘you’, the formal reflexives se and sí misma ‘yourself’, and the formal possessives su and sus ‘your’. The next sentence includes the formal subject pronoun usted and corresponding formal verb forms such as conteste and siente. The real puzzle, then, is why informal te ever appeared in the original title. The most likely explanation is an editorial snafu: surely some higher-up decided on the title, but the writer proceeded to adopt a formal voice anyway, forcing a change in title once someone noticed the discrepancy. Kudos to MoMA for mounting a show of both photographic and linguistic interest! 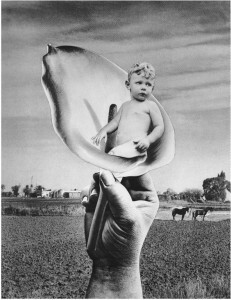 This entry was posted in Nouns and pronouns and tagged Grete Stern, idilio, object pronouns, Spanish, te and le on 1 June, 2015 by jhochberg. There’s a little typo in that last blog entry that you might want to fix: “I noticed an curious pronoun phenomenon”. Those of us who love language just can’t help ourselves! 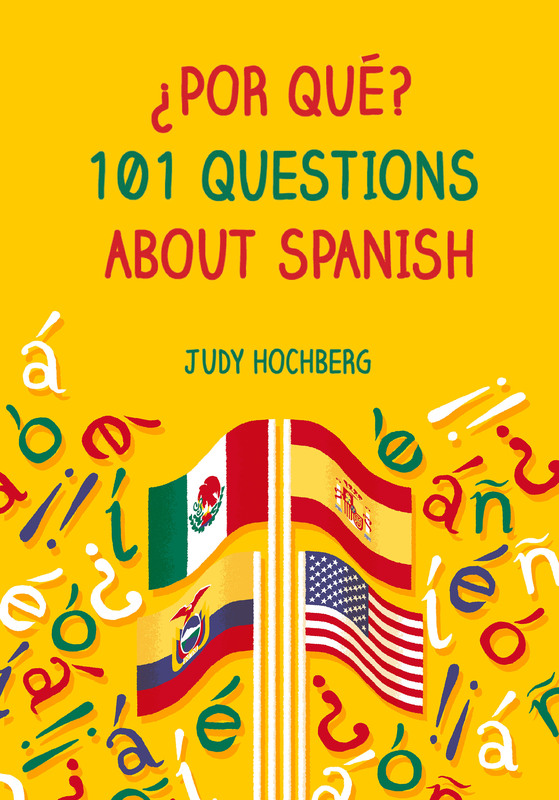 (Sorry) But as a fellow language lover, you would probably want to know. I love that you saw that linguistic example at the MoMA exhibit.